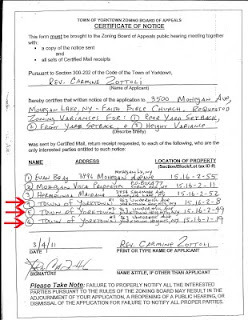 Please note that 3 of property owners adjacent to the sites to be redeveloped are The Town of Yorktown and the Town of Yorktown Parkland, all c/o Town Attorney, Jeannette Koster). 2 of the notified, interested parties were single family homes; my house and one other. 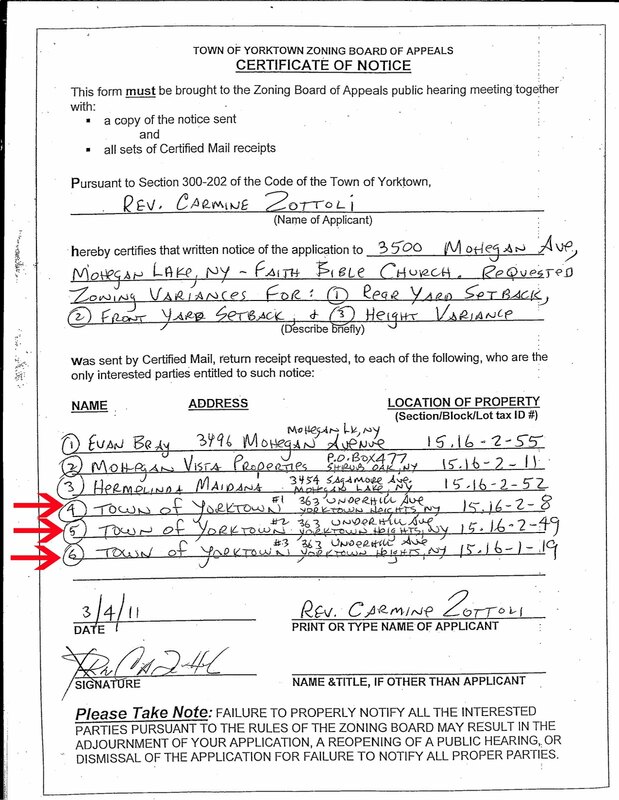 The last one notified was "Mohegan Vista Properties." I propose an amendment to the Town Code to allow applicants for Zoning and Planning Board to notify the Town Attorney in a single mailing. This will cut down on paper waste and mailing costs to the applicant. I am going to confirm with the Town Assessor that ALL adjacent properties were duly notified of the application, in accordance with the Town Code. Will keep you posted.